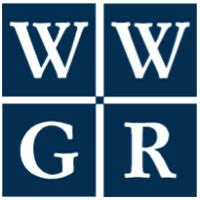 From helping clients overcome financial struggles whether due to overextended credit, accidents or injuries to divorce and criminal law, the attorneys at the law firm of Winegar, Wilhelm, Glynn & Roemersma have the experience to take on even the most complex legal challenge. If you would like to learn why we have become one of northern New Jersey's most trusted law firms over the past 20-plus years, you can do so by scheduling an initial consultation with one of our lawyers at our law office in Phillipsburg. Ogden Martin Systems of Union, Inc.